Kedarnath has shown limited growth in the Morning shows of Saturday (2nd day) as early samples are received. This is Morning so we can ignore a bit. But if same trend continued through the day then that will definitely not be a good sign. 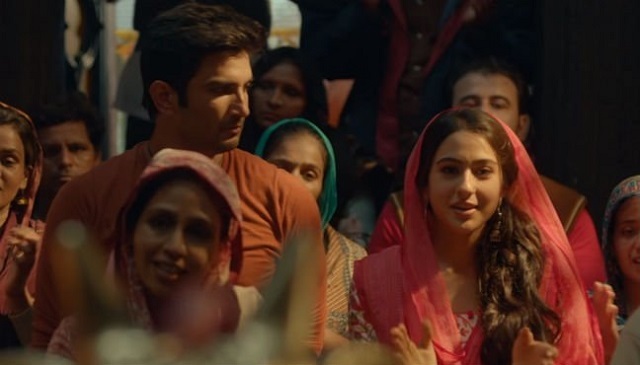 Kedarnath opened to around 25% occupancy in Morning shows today. If same samples are compared of Friday and Saturday, then there is a marginal growth of 10-15%. Hope film grows from Noon onward. As film has done pretty well on Friday, hence a growth of 30% or more will be good. Let's hope that film shows very good occupancy specially in later half of the day. Initial reports for the film is mixed. Saturday will give us an early sign for the word of mouth. But real word of mouth will be known by the end of 1st Monday. try to be impartial. It looks like 2.0 is trying to influence the wom.